- 20 interesting coffee facts might be just the odd tidbits needed to impress everyone at the next trivia contest or they could be used as the next trivia contest. - The advantages of a coffee club subscription are many, including regular coffee deliveries and the opportunity to try a wide variety of coffees that might not otherwise be available in local markets. - Becoming a coffee taster isn't as easy as it may seem. Sure, you may love coffee and be able to make mental notes about which coffee you like and why, but becoming a coffee taster is a career that requires a delicate palette, great taste buds and a good knowledge of the science and art of making great coffee. - The Coffee Song isn't one of Frank Sinatra's biggest hits by any stretch, but the catchy tune holds up well, even today. One reason is the fact that Frank Sinatra was the one who opted to record The Coffee Song in the first place. - Coffee sweeteners come in many types, so you don't have to just settle for a spoonful of white sugar in every cup of coffee. Not that there is anything wrong with white sugar (or black coffee for that matter), but don't we all like to have a change once in a while. - Coffee tasting techniques can really enrich your appreciation for the bean. Professional coffee tasters (yes, some people get to make their living tasting coffee) used a standard set of coffee tasting techniques that ensure a consistent rating of different coffees. - Walking in a coffee shop to order a simple cup of coffee and hearing someone ordering a skinny, venti macchiato with a double shot is enough to give some people pause and make them wonder if they have stepped into another galaxy. - Cowboy Coffee in the Wild West has a certain lore to it: Images of conestoga wagon cookies brewing up a hot pot fireside, sheriffs having a second pot of coffee as they guard a wily prisoner long into the night, a farmer lingering over his cup of coffee in the Wild West before beginning his daily chores. - Understanding Coffee Terminology: Latte or Cappuccino Reading the menu in a local coffee shop can be as difficult as tackling a new language, it is in fact a language all its own. 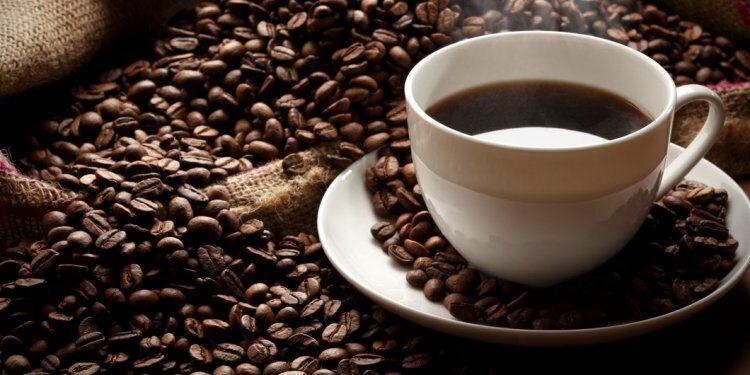 - Organic Coffee Beans - In today's world that is filled with pollutants in the air and toxic chemicals being dumped into waterways that seep into the groundwater many people are opting to purchase only organically grown products. - Different coffee bean roasts are just as important to the flavor of your cup as the type of beans that went into your coffee. Overall, beans that are roasted lightly will be sharper and have a more acid overtone than heavily roasted beans. - Stove top coffee used to be the only game in town. Long before electricity made it into homes, if you wanted a good cup of coffee you had to fire up the stove, put on a pot and wait and wait for the stove top coffee to boil. - Turkish coffee has been a part of life in Turkish society since the mid-16th century when the first coffee houses opened in Constantinople. - Tips on brewing the best coffee can be found on Coffee.org's website, coffee forums and passed down through family members to other coffee drinkers. These tips are helpful and can be used to improve the quality of the coffee brewed.